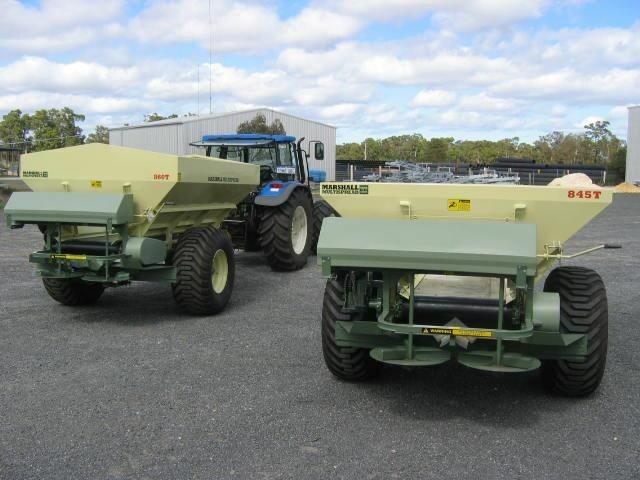 Multispread fertilizer spreader - 10 tonne (8.1 cubic metres) with hydraulic twin spinners, 23.1 x 26 tyres. Also available with PTO drive. Optional weighing systems, variable rate, door control, roll tarp, 3 metre axle. Full range 2.5 to 16 tonne models available ex stock for immediate delivery. Marshall 810T, 10 Tonne payload, 9 cubic metre capacity. 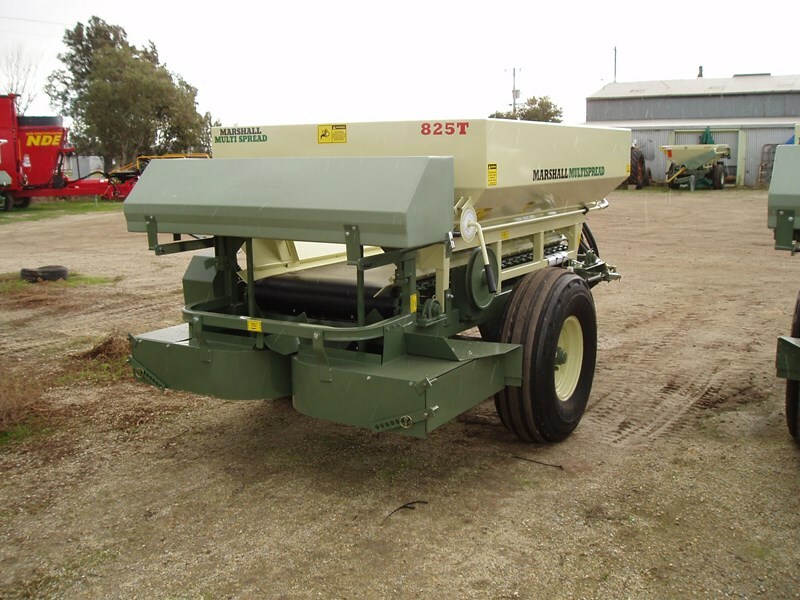 Heavy chain driven belt, 700mm PTO or hydraulic driven spinners, spreading rates from 25kg - 8000kg / Ha. Spread width to 36m. Hydraulic Spinners and VRT technology available. Three metre wheel centres available. Clarke Equipment Pty Ltd. We will beat any quote on a similar machine and still provide the exceptional service we are known for. 6 Tonne payload, 5 cubic metre capacity. Chain Supported Ground Driven Belt. 700mm hydraulic or PTO driven spinners. Easy and accurate calibration Spreading width up to 36 metres. 550mm flotation tyres. One of this model in stock now. Clarke Equipment Pty Ltd. We will beat any quote on a similar machine whilst still provide the exceptional service we are known for.